Ronneby is a high-performance WordPress theme which is – amongst other purposes – suitable for vintage styled websites. 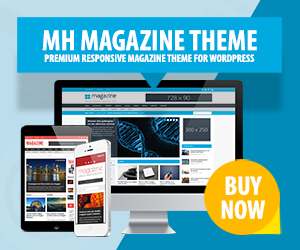 This flexible WordPress theme doesn’t only include a powerful options panel to tweak your website according to your liking, but it also comes with some premium plugins as well as modules to have full flexibility when creating your website. Ronneby is furthermore translation ready to translate your website into any other language you like and offers some more great features like several shortcodes, coding free user interface, easy one click installation and many more.